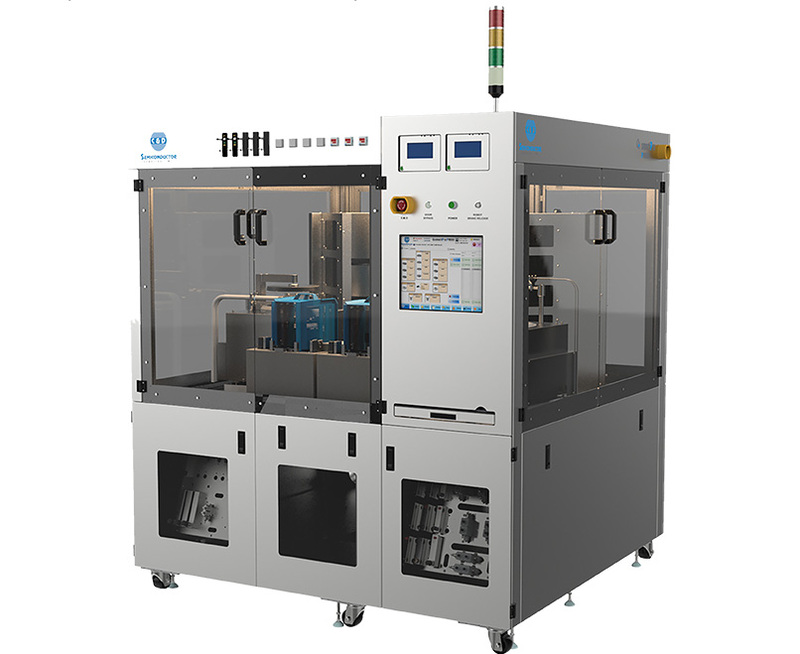 Synchrospin Coating System - C&D Semiconductor Services, Inc.
C&D is proud to introduce the SynchroSpin­® Coating System as one of the customizable modules for our P9000 family of products. 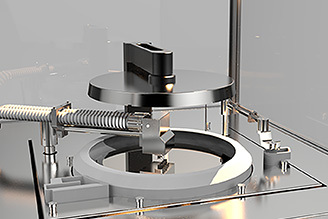 SynchroSpin­® is our state-of-the-art coating system variant that features the simultaneous rotation of both top and bottom of the closed coat bowl for a more controlled environment in which the photoresist is spread across the substrate during the spin coating processes. 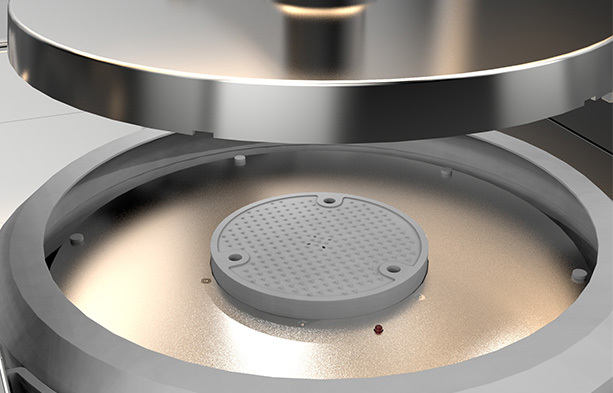 The concurrent rotation of both top and bottom of the wafer allows for lower turbulence around the rotating substrate, and results in an improvement in coating planarization and greatly reduced chemical consumption through waste. The specially designed coater insert is also equipped with an integrated backside automatic wash function. 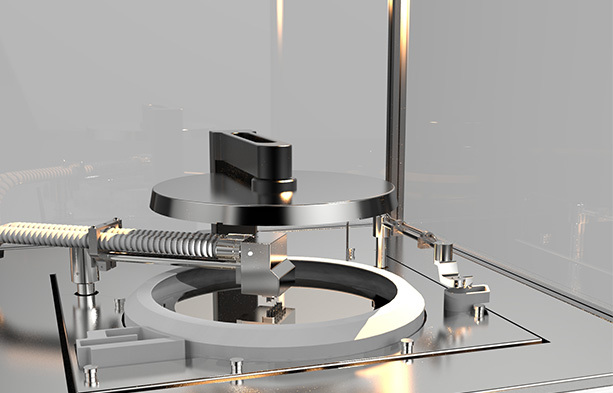 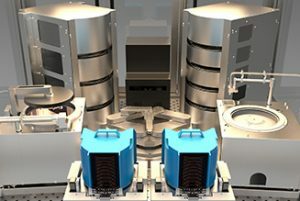 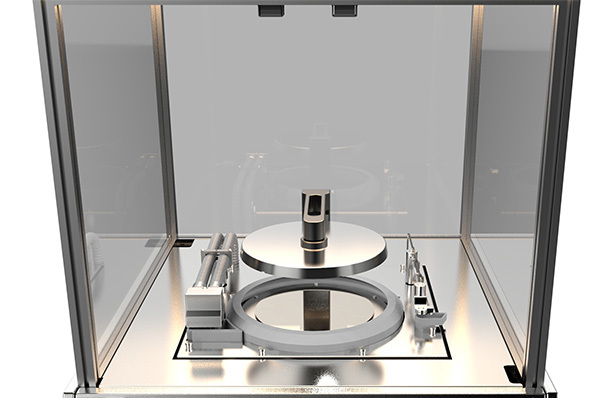 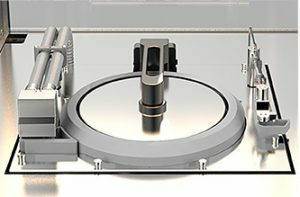 Used as a standalone coater, or together with other standard coater modules, your next P9000 tool will keep up with exacting requirements in today’s semiconductor industry.